An SSL certificate is a bit of code on your web server that provides security for online communications and Online Transection. When a web browser contacts your secured web site, the SSL certificate enables an encrypted communication between Web Server and Web Browser which avoid issues like eavesdropping, data tampering, or session hijack. 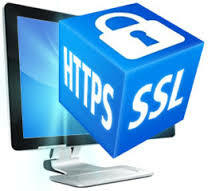 Why Web Server need SSL Certificate ? If is setup for transmitting sensitive information on a web site, such as credit card numbers or personal information, we need to secure it with SSL encryption. It is possible for every piece of data to be seen by others unless it is secured by an SSL certificate. What Is SSL Encryption And Why Are Different Levels of SSL Encryption Key? Encryption is a mathematical process of coding and decoding information during online communication between web server and web browser. The number of bits (40-bit, 56-bit, 128-bit, 256-bit) tells you the size of the key. Like a longer password, a larger key has more possible combinations. In fact, 128-bit encryption is one trillion times stronger than 40-bit encryption. When an encrypted session is established, the strength is determined by the capability of the web browser, SSL certificate, web server, and client computer operating system. What Is A Public Key and Private Key Pair? Encryption is a mathematical process of coding and decoding information. Each SSL Certificate contains a public Key / private key pair: a private key with the code and a public key used to decode it. The private key is installed on the server and never shared with anyone. The public key is incorporated into the SSL certificate and shared with web browsers. A CSR is a public key that you generate on your server according to your server software instructions. The CSR is required during the SSL certificate enrollment process because it validates the specific information about your web server and your organization.